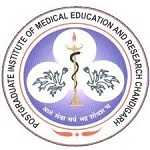 Post Graduate Institute of Medical Education & Research is the prestigious institution located in Chandigarh. The institution offers the medical research and training for the students. Every year, the institution conducts the entrance exam with the name of PGIMER . It is a University level exam which is conducted two times in a year. Through PGIMER, students are admitted into PG courses like MD, MS, etc in January and July session. The admission will be provided on the basis of entrance exam conducted by the institution. Students can get the PGIMER 2018 exam dates, application form, eligibility criteria, exam pattern, etc from this article. The PGIMER 2018 Admit card will be downloaded from the website. It is mandatory to bring the valid admit card in the examination hall with one photo ID proof. Admit card can be accessed through online mode. It will include the student’s name, roll number, exam centre, exam date, exam venue. Keep the admit card safe till counselling process gets over. Students can check their result of PGIMER 2018 entrance exam from the website via online mode. The PGIMER 2018 Result will be released in the month of November for January session exam. The result will be declared by the PGIMER, Chandigarh. The result for all courses will publish on different dates. The PGIMER 2018 Counselling will be held through offline mode. Students have to present in person for the counselling. Counselling will take place in four rounds. Distribution of seats will be done on the basis of scores obtained in entrance exam. If candidates have any query regarding PGIMER 2018, they can leave their query in given below comment box.